Lagoon 400 is one of the most popular models of catamarans among fans of sea rest since combines the high level of comfort, magnificent design and reasonable price. It is also called as a big "small" catamaran – compact dimensions, in which all necessary for comfortable rest of the small company is placed. The Lagoon 400 models are in the increased demand therefore it is recommended to reserve yachts in advance, to the same it assumes favorable discounts. 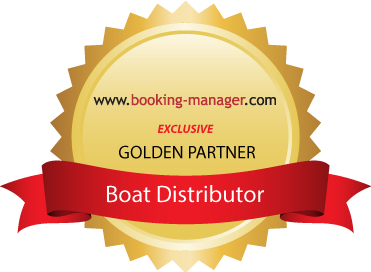 Inflatable Life Raft, Breakdown Service at Sea, Automatic Life Vest, EPIRB, Life Jackets, Safety Harnesses, Horse Shoe Bouy, V.H.F, Floating Light, Box of Flares, Torch, First aid Kit, Emergency Tiller, Navigation Lights, Bosun's Chair. Autopilot, Colour Chart Plotter, GPS, Plotter, Echo-Sounder, Log, Wind Speed, Windex, Main Compass, Sea Charts, Pilot Book, Clock, Barometer, Binoculars, Hand Bearing Compass, List of Lights, Electronic Sea Charts, Electronic Harbour Charts. Bimini, Sprayhood, Eletric Winches, Lazy-Jacks, Cockpit Speakers, Dinghy, Bow Thruster, Hot Water, Inverter, Safe, Secure Parking, MP3, Shower, Electric Windlass, Compressor fridge, Cockpit Table, Electric Fridge, Electric Bilge Pump, Battery Charger + Wire, 12 Volt Socket, 220 Volt Socket, Swimming Ladder, Gangway, Deck Shower, Galley Equipment, Gas Bottle, Tools, Ships Licence, Parking included, Holding Tank, Fan(s), Oven.